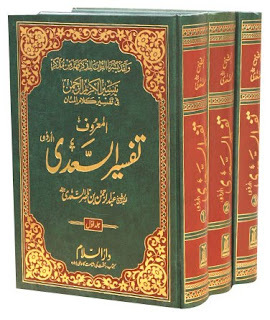 Al-Fawaid – A Collection Of Wise Sayings is one of the well-known compilations of Shaykhul-Islaam Ibn Qayyim al-Jawzuyyah, It consists of the elevated thoughts that Allah, bestows upon his chosen servants, so whenever any of these scattered pearls of wisdom occurred of to the Imam, he would Immediately record them, if something came to his mind, he would record it, and whenever he learnt a lesson or anything crucial In his life, he would Illuminate the lines of his page with the Ink of his pen. It is not possible to encompass one of Iblees’ evils, let alone all of them. Since Iblees’ evil is of six types, Iblees remains behind the son of Adam until he gets him to do one or more of these six evils. THE FIRST EVIL IS THE EVIL OF KUFR AND SHIRK and enmity to Allaah (SWT) and His Messenger (sallallaahu ‘alaihi wa sallam). If he gains this from the son of Adam, his moaning is eased, and he rests from his ordeal with this man. Further, this is the first thing Iblees wants from the worshipper (al-‘Abd). If Iblees gains this, he makes this person part of his army, one of his soldiers, and he appoints him as a deputy or agent against other human beings. Then, this person becomes one of the deputies or callers of Iblees. the SECOND CLASS OF EVIL. THIS IS BID’AH (innovation). Iblees loves Bid’ah more than debauchery and disobedience because the harm of Bid’ah is in the essence of the religion. Moreover, it is an unrepentable sin and is against the call of the messengers and is a call to a message different from the one conveyed by Ar-Rasool. Bid’ah is a gate to Kufr and Shirk. Therefore, if Iblees gains the performance of Bid’ah from a person and makes him one of the people of Bid’ah, he also becomes one of his agents and a caller of his. the THIRD CLASS OF EVIL, which is the class of MAJOR SINS in their various forms. Iblees is very covetous of letting a person fall into major sin, especially if he is a scholar who is followed. Iblees is covetous of that, so that he may repel people from him and spread his sins and disobedience amongst the people. He uses some people as his agents to spread this person’s sins under the false pretence that this will help them to get closer to Allaah. But in fact this person is the deputy of Iblees without knowing it. For those who would like abomination to be spread amongst the believers there is a great torment in this life and in the Hereafter especially if they take charge of spreading about enormities, not out of advice, but by obeying Iblees and being his agent. All this is to repel people from the Scholar and from his benefit. the FOURTH CLASS, or the MINOR SINS. These sins may ruin a person if they accumulate. That is why Ar-Rasool (sallallaahu ‘alaihi wa sallam) said, Be aware of the minor sins, because the simile of the minor sin is like the people who went to a desert. Then he (sallallaahu ‘alaihi wa sallam) mentioned a Hadeeth the meaning of which is that every one of them brought a stick of wood until they had kindled a huge fire (just as the minor sins add up little by little until they become a major sin). The person continues taking the matter of minor sins easily until he considers them inconsequential. Therefore, a person who commits major sins but fears their effect is in a better condition than he is. The FIFTH LEVEL IS TO OCCUPY HIM WITH PERMISSIBLE THINGS that do not gain him reward or punishment. However, the punishment of this level is caused by passing the reward missed by being occupied with these deeds. The SIXTH CLASS is to OCCUPY HIM WITH DEEDS OF LESSER REWARD to keep virtue away from him and to prevent him from attaining the reward of the favoured deed. Therefore, he orders him to do a good action with less reward if that includes leaving a better action. Very few people are aware of this. Because if a person feels a strong urge to some kind of obedience, he does not doubt that it is true obedience and that he is getting closer to Allaah (SWT).. He never thinks that this call is from Iblees because he believes that Iblees never calls one to do good. Therefore, he thinks that this call is from Allaah (SWT).. Actually he is excused because he never knew that Iblees would call one to seventy doors of good deeds either to get him to one door of evil or to let a better deed than these seventy deeds pass away from him. 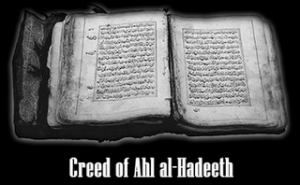 This cannot be known except by a light from Allaah (SWT),, a light he instils in the heart of Al-‘Abd. The source of this type of knowledge is following the way of Ar-Rasool (sallallaahu ‘alaihi wa sallam) and taking care of the levels of deeds with Allaah (SWT),, the deeds of His favoured ones, the deeds more pleasing to Him, and those more beneficial to Al-‘Abd, and deeds that have more Naseehah (guidance) from Allaah (SWT),, His Rasool, His Book, and His believing worshippers. No one has this type of knowledge except the inheritors of Ar-Rasool (sallallaahu ‘alaihi wa sallam), his deputies in the Ummah, and his successors on earth. In addition, most of the creation is screened from this. This call does not come to their hearts. Allaah (SWT) gives His favour to whomever He wills from among His worshippers. IMPUTING DISBELIEF TO HIM, CALLING HIM MISGUIDED AND AN INNOVATOR, WARNING PEOPLE AGAINST HIM, and intending to weaken him and to disturb his heart. Iblees, by using this method, tries to confuse this person’s thinking and tries to PREVENT PEOPLE FROM BENEFITING FROM HIM. 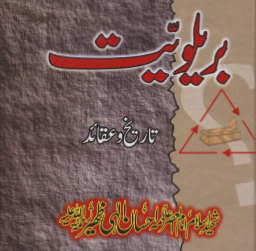 Therefore Iblees expends his utmost effort to empower the defenders of falsehood, from human beings and from jinn, against him. Then the believer is at war until death. Whenever he gives up, he is hurt or is taken captive. Hence the believer is in Jihad until he meets with Allaah (SWT)..